A fine pair of Art Deco White Gold Bergeres. 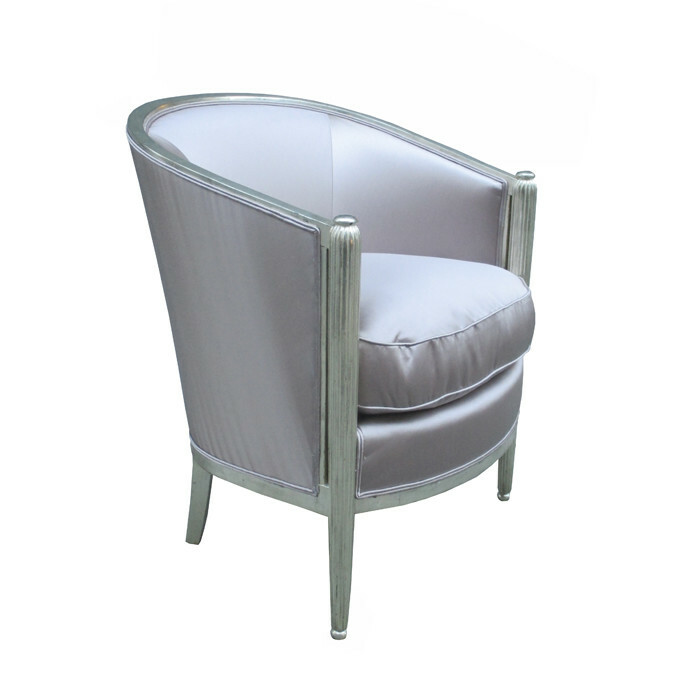 White Gold leaf with fluted front leg details. Dimensions: H:32¼ W:25½ D:25 Seat H:20 Inches.